MYRIAD SPHERES: New Release: THE SULLIVAN OMNIBUS! 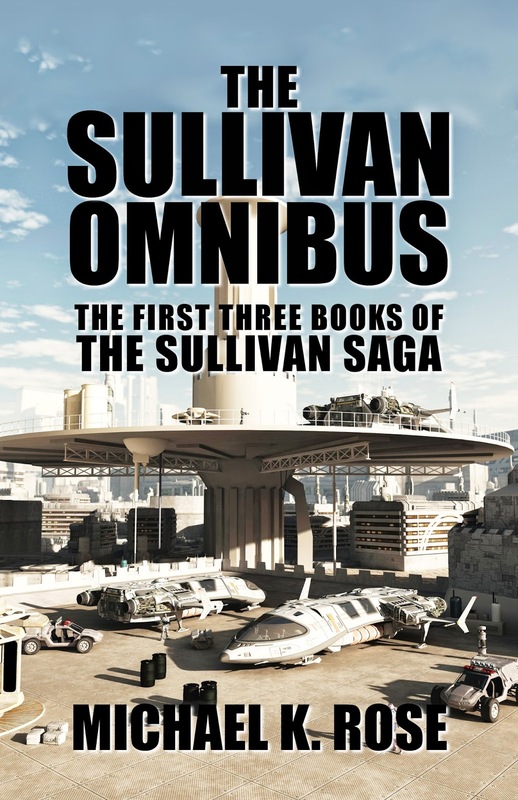 The entirety of The Sullivan Saga is now available in a single volume: The Sullivan Omnibus! This collection includes Sullivan's War, Sullivan's Wrath and Sullivan's Watch as well as the novelette "Sergeant Riley's Account" and the short story "Sleep," both of which take place in the same universe. Prepare For an Epic Science Fiction Adventure! Richard Sullivan is a wanted man. He’s killed key politicians on both Earth and his home planet of Edaline. When his reasons for doing so are revealed, Frank Allen, the agent assigned to the case, begins to question his own loyalties. His pursuit of Sullivan takes him across the inhabited galaxy and sets them both on an adventure that will change the course of human history.